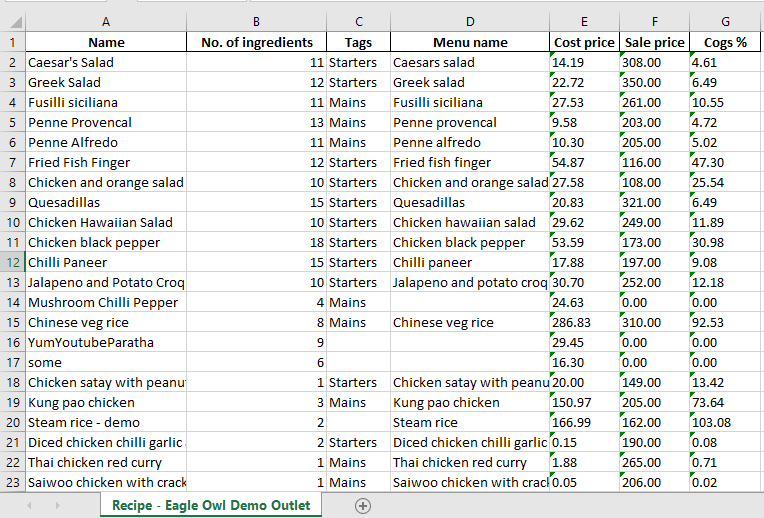 Recipes can be exported to excel sheets using EXPORT button. There are two recipe export options available, detailed and concise. 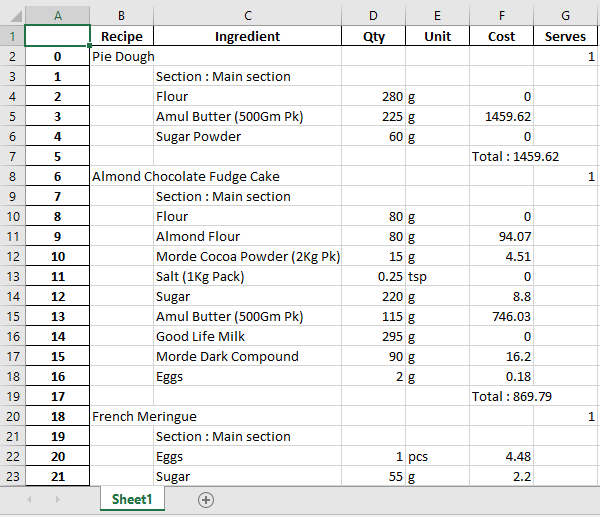 Detailed recipe export contains all recipes and their ingredients as seen in list view. Concise export will provide recipe, corresponding menu item, classification, cost and selling price.